Congratulations to Mrs Anel McDowell, who is the recipient of the Inclusive Solutions Outstanding Honours (AAC) Student award for the best overall performance in the Honours (AAC) programme 2014-2016. This award is generously sponsored by Inclusive Solutions. 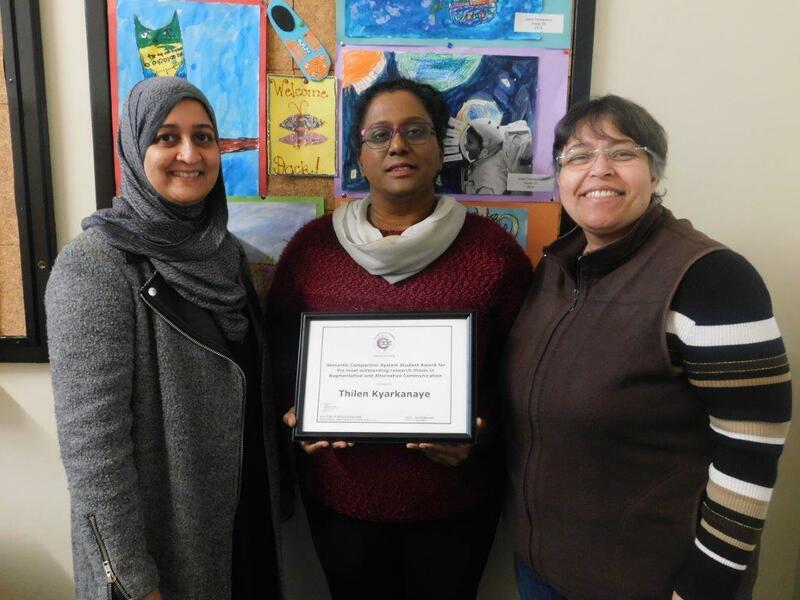 Dr Thilen Kyarkanaye was awarded the 2016 Semantic Compaction prize for the best research project conducted by a Master's or PhD student completing their studies at the Centre for AAC. 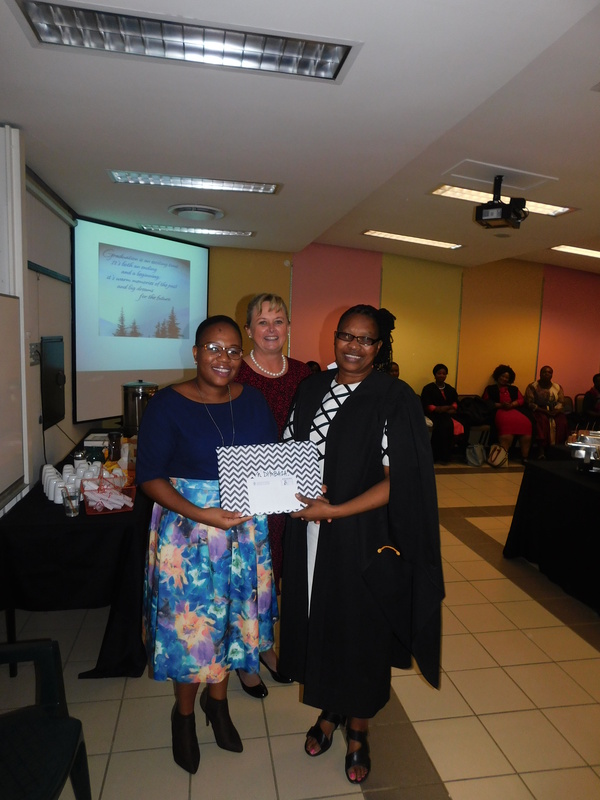 Thilen conducted a research project entitled "Team collaboration in early childhood intervention services in South Africa : comparing professional and caregiver perspectives " as part of her PhD (AAC). The Semantic Compaction prize is generously sponsored by Semantic Compaction Systems. 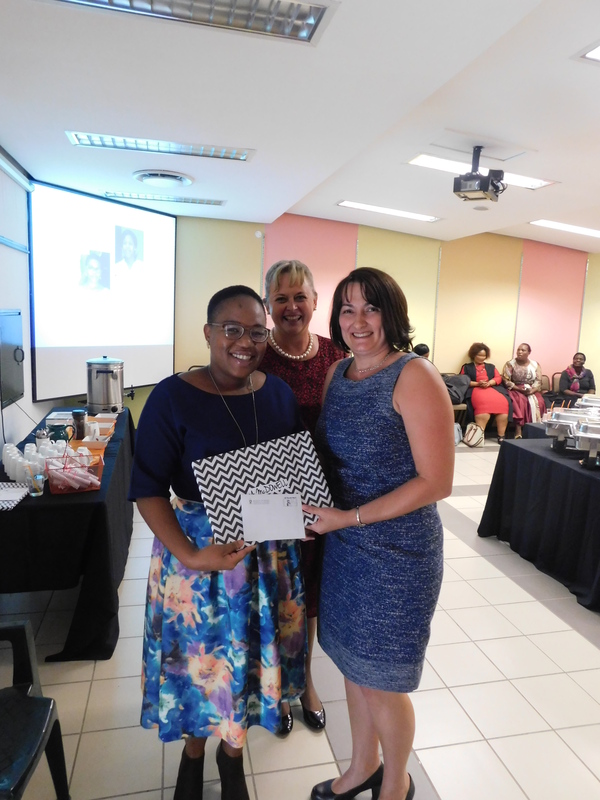 Congratulations to Mrs Ntombekhaya Dimbaza ,who is the recipient of the Edit Microsystems Best Progress Honours Student award for the best overall progress in the Honours (AAC) programme 2014-2016. This award is generously sponsored by Edit Microsystems.